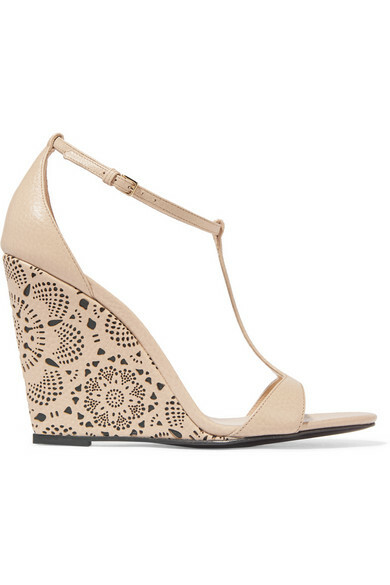 Glowy: Shoe Of The Day: Burberry Prorsum Laser-cut leather wedge sandal. 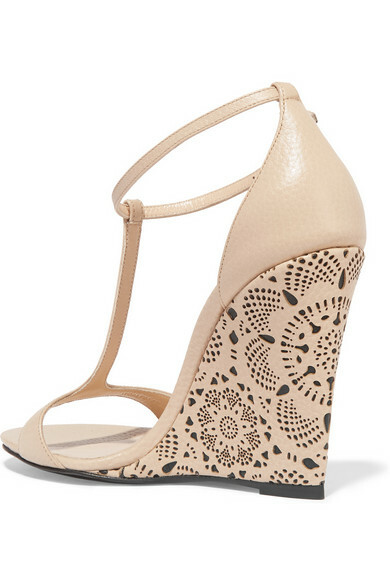 Shoe Of The Day: Burberry Prorsum Laser-cut leather wedge sandal. 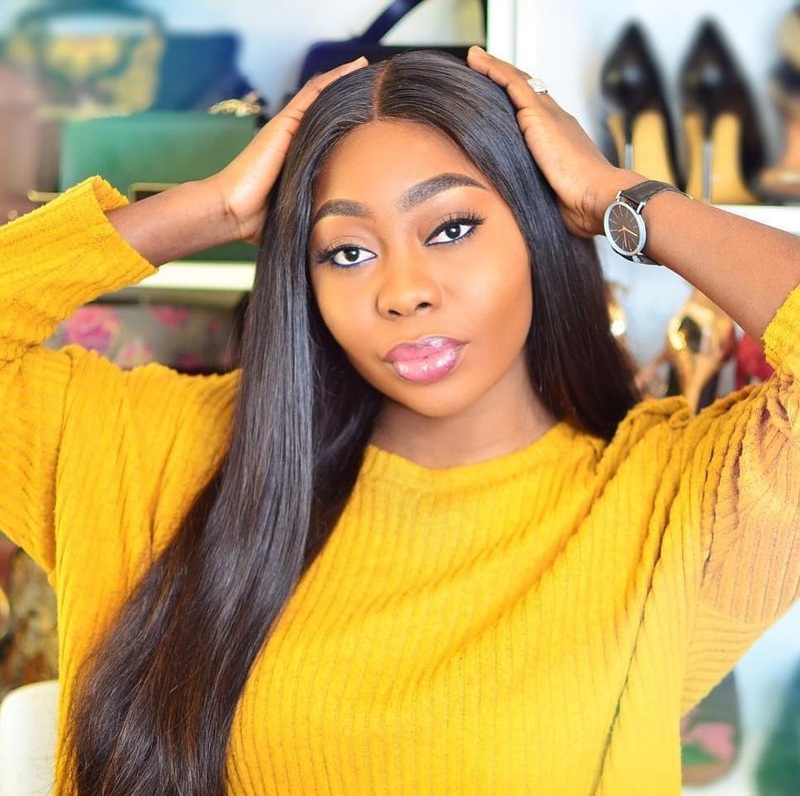 Our shoe of the day is this really cute Burberry Prorsum’s beige leather sandals which is decorated with an intricate laser-cut floral pattern at the wedge heel. Finished with a secure buckle-fastening ankle strap, with wedge heels that measures at 4,5 inches high. This T-bar style is designed in a versatile beige hue that will work with anything in your wardrobe. and it's sells for $750. Amakamedia and trendwithgloria hope the price is better compared to the last one? 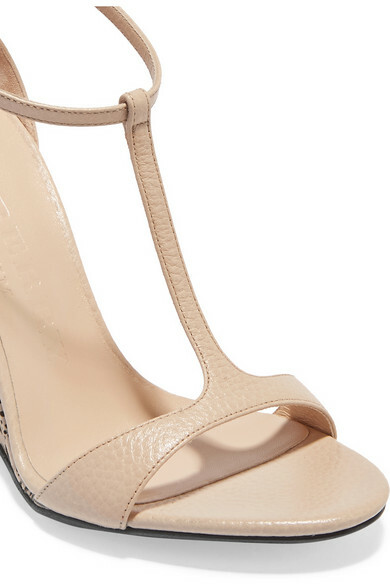 This shoe can be purchase at Net-a-porter. 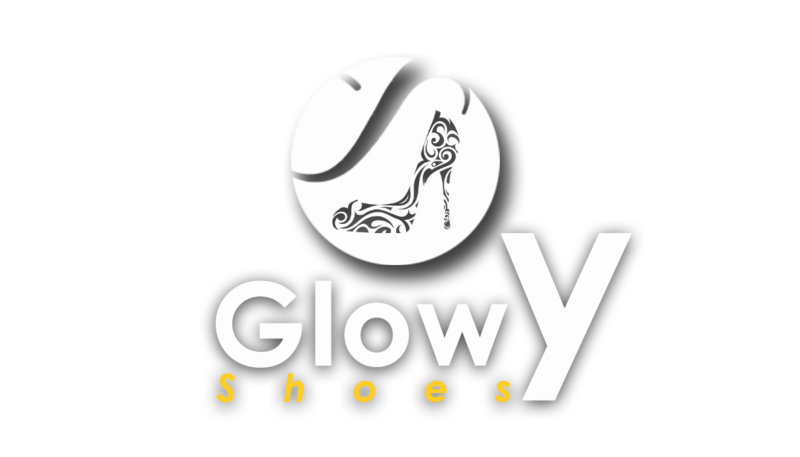 Glowy...that sandals is perfect for causal/work, but $750!hmmm...Do giveaways na?? ?